Ms. Geiss is the most dedicated fourth-grade teacher imaginable. She goes to extraordinary lengths to make sure her students are presented with every opportunity—showing them slides from her summer vacations during Geography, reading to them from the classics of children’s literature after lunch, and providing them with the kinds of learning rewards that they will truly respond to—bite-sized nuggets of human flesh. Because Ms. Geiss’ students are pint-sized zombies, and the main tool of her peculiar version of the teaching trade is her trusty Remington .30-06 rifle. Ms. Geiss is firm but fair, and keeps a disciplined classroom. She has far more trouble from the adults shambling through what’s left of town than she does from her students, though a well-bulldozed killing field and the gasoline-filled moat encircling the school usually keeps the worst of the undead marauders at bay. But even the hardest working educators let their guard down sometimes, and after the Tribulations, just one mistake can mean school’s out forever. 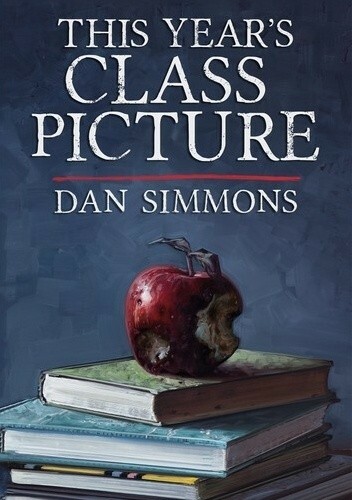 Bestselling, acclaimed author Dan Simmons’ story “This Year’s Class Picture” is a zombie tale that could itself be described as best in class, honored by the Stoker, Sturgeon, and World Fantasy Awards.